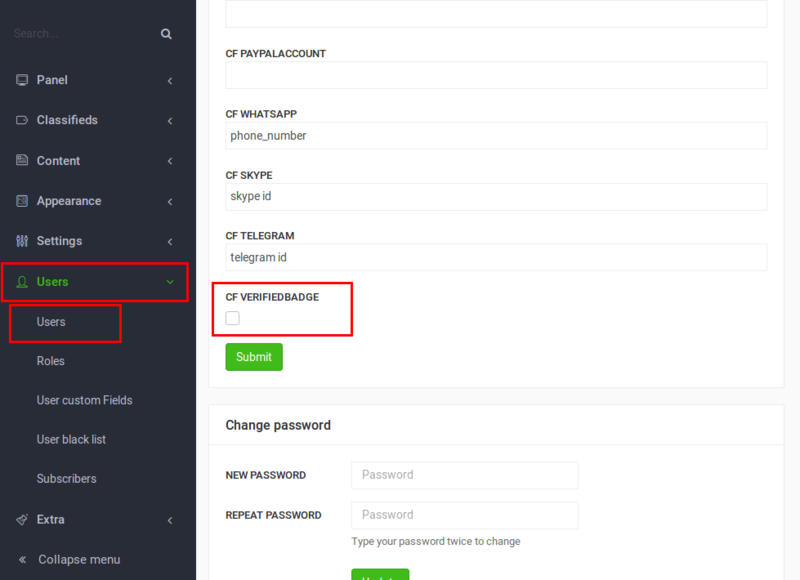 This new feature allows admins and moderators to mark a user account as verified. A verified user is usually a trustworthy user. Once a user is verified a badge is added next to the username. 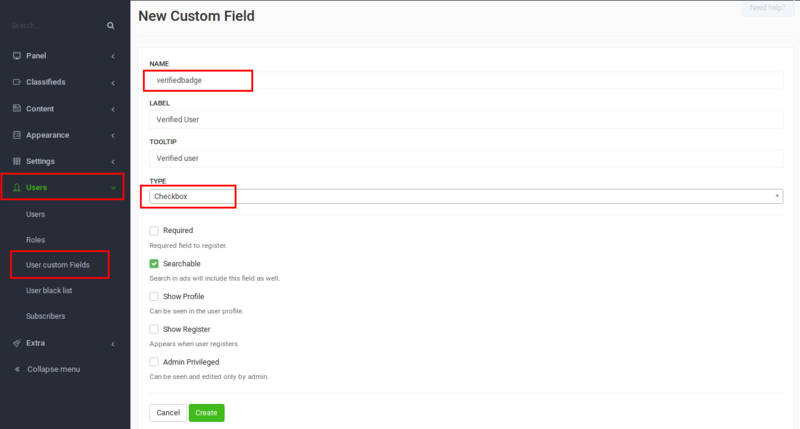 Go to Users -> User Custom Fields and press New Field. Enter verifiedbadge in the field called name, for the type choose Checkbox and check Searchable. 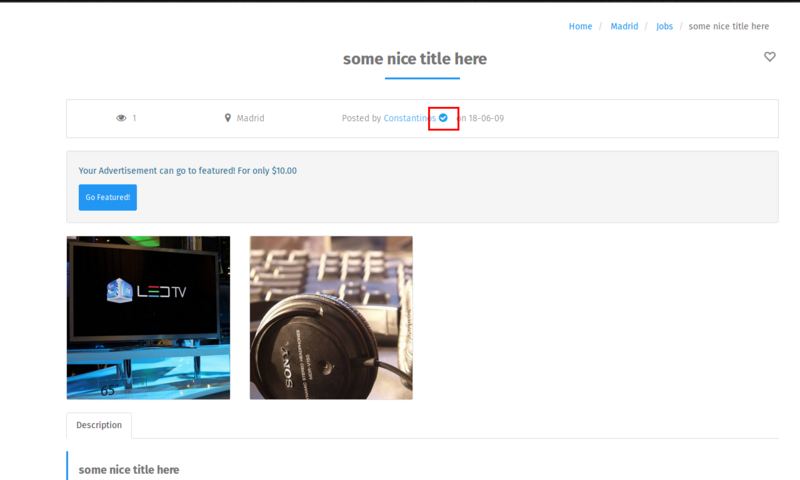 Also fill the fields Label and Tooltip and press Save. 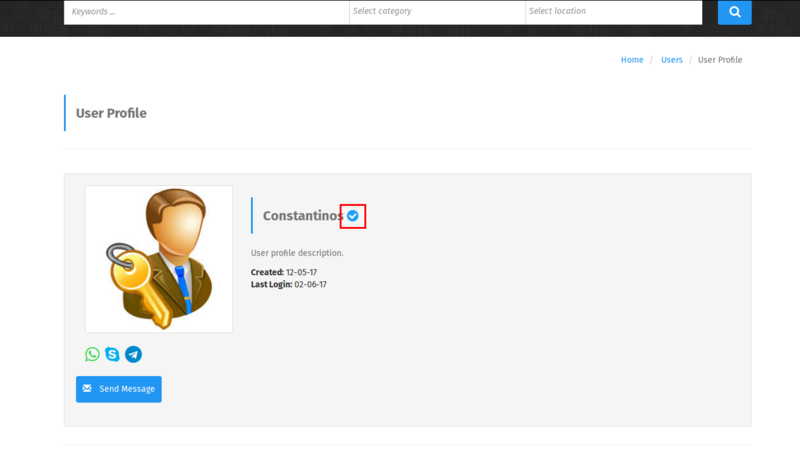 The user custom field is created, you can edit it on Users -> Users by updating a user profile. 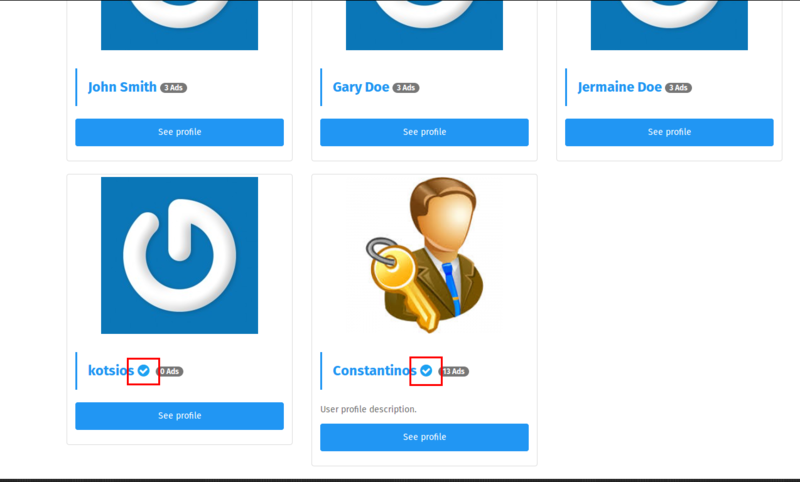 The verified badge is visible on the verified user ad pages, user profile page and the users list page.